Harvard Park at Tucker Hill Opening Soon! The long-awaited 40,000 square foot, three-story commercial development known as “Harvard Park at Tucker Hill” will see its first tenants move in, pending city inspections, by early March, 2018! Situated on Highway 380 between the two main entrances of the Tucker Hill new home community, NASH Realty Group now owns the building. NASH will relocate their offices there along with Keller Williams McKinney. Both businesses will occupy space on the second and third floors. Landmark Bank has confirmed for the first floor, center section, and will run a 24-hour virtual drive thru at the west-side of the building. Pratt/Aycock Attorneys (also known as Texas Title) will also occupy space in the center section of the first floor. All of these tenants, along with Tucker Hill residents, are also thrilled to welcome Petra Fresh Mexican Bistro. Petra has a confirmed lease for the east side space of building’s first floor. They will operate a drive-thru and plans to serve breakfast, lunch and dinner, Mondays-Saturdays. They will also have an outdoor patio dining area. Palio’s Pizza is the second restaurant confirmed for the west side space of the building’s first floor and they will also have outdoor patio dining. Palio’s has several other locations throughout DFW and they will be open for lunch and dinner seven days a week. At least two other businesses are currently reviewing leases on some remaining space on both the first and second floors. If all who are considering leases sign, Harvard Park will be 100% leased. 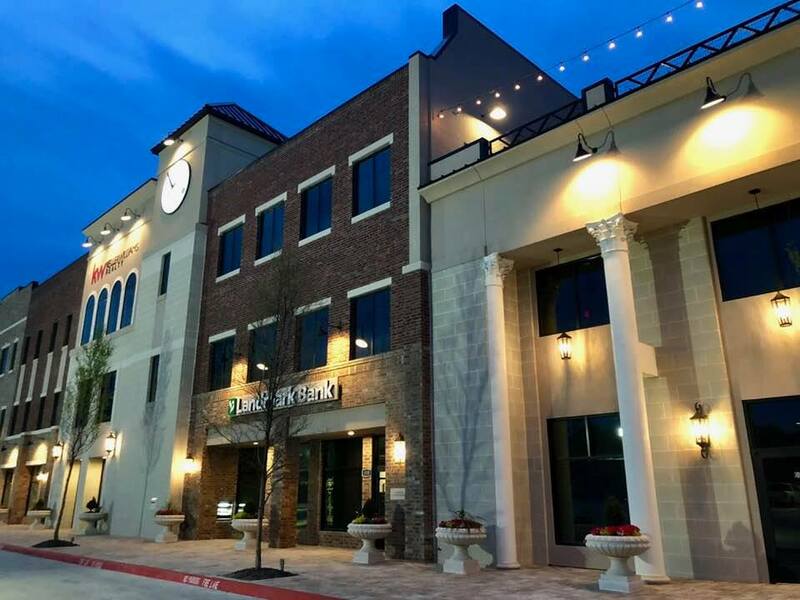 By being so close by to the Tucker Hill residential development, this commercial space fulfills the Traditional Neighborhood Development concept. This concept promotes the idea that residents have the ability to choose walking or bike-riding to access the merchants. The architectural style of this building looks and feels much like something you would find in a historic town square. Much thought and collaboration has gone into a design that reflects the same architectural standards found in Tucker Hill. The building also features a shaded, roof-top meeting space, substantial parking, and landscaped areas including a charming gazebo for added appeal. For more information, please contact Chayse Harvard at 214-793-8800.